Gary Jones Clinic Director at PHYSIO 206 is delighted to announce that the doors are now open for treatment as they embark on an exciting new partnership with Faye and the team at the Daily Bread Yoga and Wellness Centre (70-72 Birmingham Road, Bromsgrove, B61 0DD). PHYSIO 206 is open Mon-Sat in Bromsgrove with early and late appointments available. You can book online by clicking here. We are covered by all major health insurance providers and bill them directly for your convenience. The current list of providers includes BUPA, AXA, AVIVA, CIGNA, VITALITY AND EXETER HEALTHCARE. Gary is a state registered physiotherapist and is a member of the healthcare professions council (HCPC) the chartered society of physiotherapy (CSP) and the acupuncture association of chartered physiotherapists (AACP). 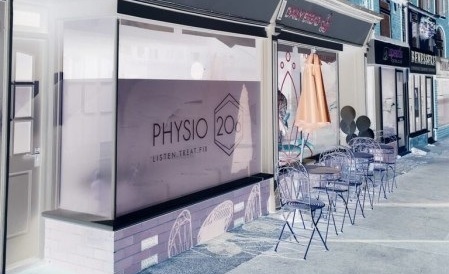 If you have any further questions or simply wish to book an appointment you can do so online at www.physio206.co.uk and through our Facebook page. Alternatively you can contact us via email bookings@physio206.co.uk or by phone 07512203536.